Alireza Jafarzadeh, Deputy Director of NCRI-US, explained that they had an intelligence coming from the NCRI’s main constituent group, the People’s Mojahedin Organization of Iran (MEK), which had previously exposed key information about Iran’s nuclear weapon program. The information is about the training facilities indicates a rise of recruitment of foreign nationals, an expansion that has been explicitly endorsed by Supreme Leader Ali Khamenei. Currently, the Quds Force, an operation division of the IRGC, is designated by the US Government under executive order 13224 as an entity engaged in terrorism, but the IRGC itself is not. The NCRI pointed out that there is no distinction between the IRGC and the Quds Force, either in the Iranian constitution or national budget. 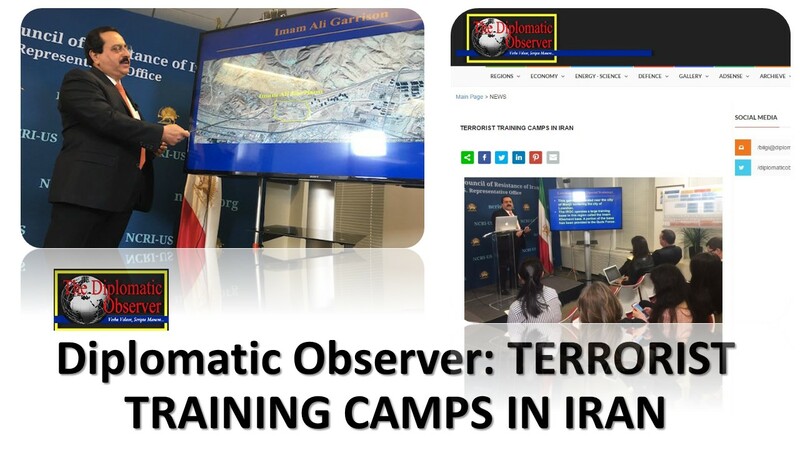 Jafarzadeh showed maps and details of 14 terrorist training centers in Iran. The main headquarter, known as Imam Ali Garrison, is where terrorist training is provided to foreign nationals. He also included specifics on the types of training given to the mercenaries from around the world. The conference emphasized the IRGC’s deep involvement in each of the “three pillars” upon which the regime’s power rests: the suppression of dissent inside Iran, the export of its Islamic revolution through terrorism and regional military operations, and the amplification of the Iranian military threat through the pursuit of WMDs. The NCRI said measures like designating the IRGC as a terrorist organization would decrease the likelihood of similar incidents in the West, and would strike a blow against the Iranian theocracy.